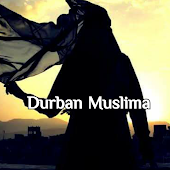 Durban Muslima: Get your summer body now! 💓breaks down and softens tummy fat. 💓detoxes colon. 💓relieves bloated and gassy stomach. 💓stops body from absorbing too many calories. 💓flattens tummy. 👙LOOK AND FEEL GREAT THIS SUMMER QUICK ANd effective results guaranteed. 100% halaal......!NO DIETS NO FUSS watch the fat melt away.